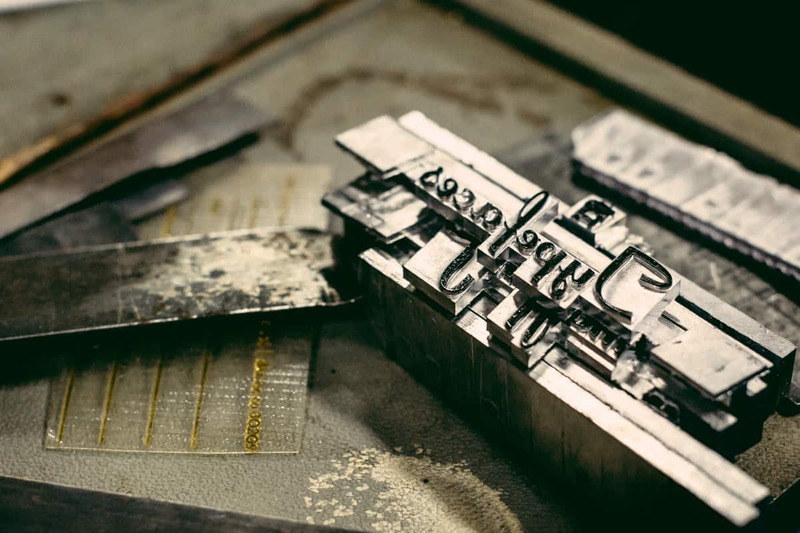 New England’s letterpress locations utilize the centuries-old analog process to create lasting words and objects. The best writing aspires to unlock complexities of existence and leaves powerful words imprinted, as if by hot-lead type, on the province of the brain where intellect and emotion distill truths so fine they’re nearly impossible to articulate. For connoisseurs of letterpress printing, words needn’t come from literary giants to be sublime. 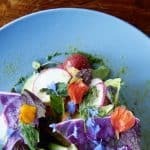 Wedding invitations, business cards, even coffee shop posters embody grandeur and gravitas when the inkjet ethos is jettisoned in favor of beautiful printing done on a press that might date to the nineteenth century and be operated by hand. 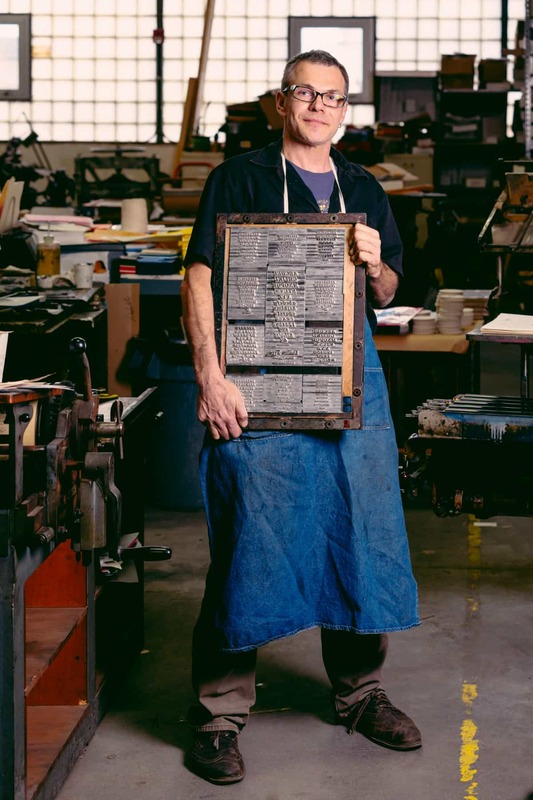 “With digital communication now being the norm, my clients are seeking out the unique tactility and elegance of letterpress printing,” says Dan Wood of DWRI Letterpress in Providence, Rhode Island, in an “our risd” post on the Rhode Island School of Design (RISD) website. Wood is a RISD faculty member and an artist. 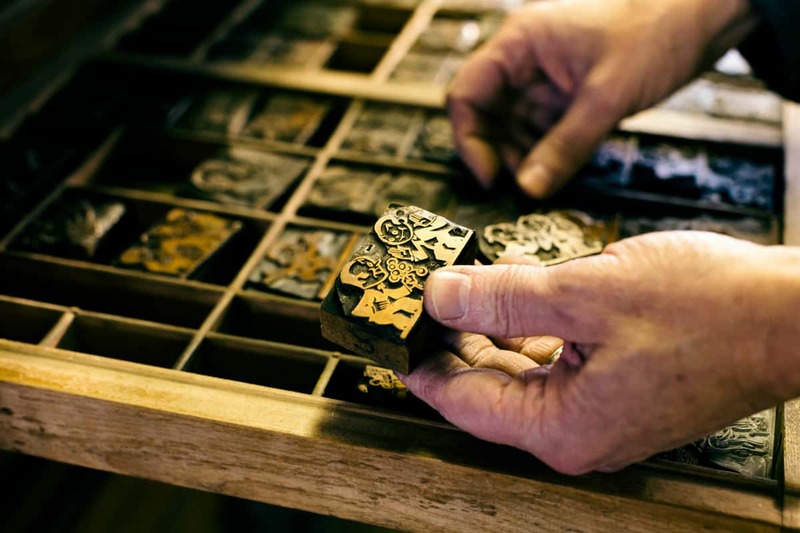 While letterpress printing may employ antique, handmade wooden type or a vintage Ludlow Typograph system that creates bars of type from hot lead, the most common method of printing involves photopolymer plates. 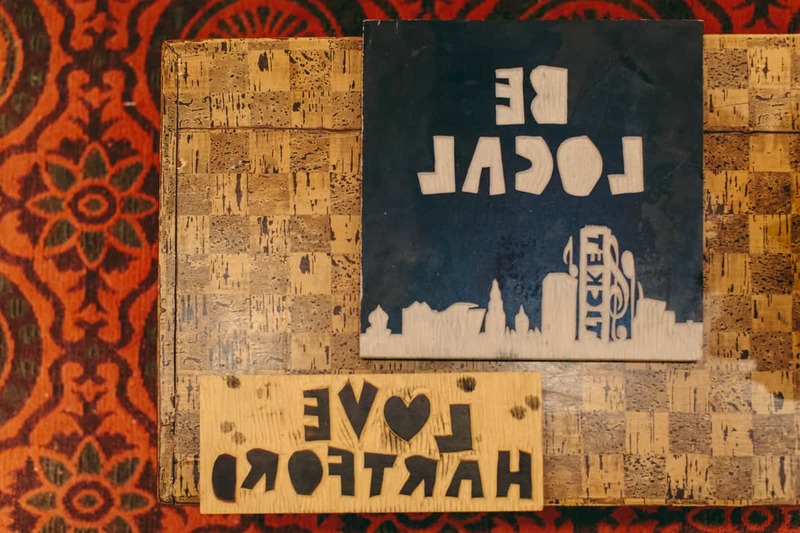 The latter, says Wood, is a cost-effective way to transfer a digital image from a film negative into a relief printing surface for letterpress. Letterpress is the epitome of luxury print, and some of its finest practitioners have thriving print shops in New England, creating everything from greeting cards and fine-art prints to innovative literary magazines and product lines that extend to mugs, T-shirts, and even jewelry constructed from recycled letterpress type bound for the scrap heap. “The thing about letterpress is it was pushed out of the Main Street printing world a long time ago. 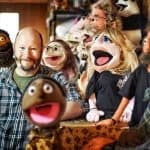 It was left in back rooms for artists like us to rediscover and use to create a new chapter/life for the process,” says Bill Muller, who in 2006 founded Big Wheel Press, located in a sprawling former mill in Easthampton, Massachusetts. “It satisfies the need in people to feel the words they said and read,” he continues. “You write a poem, cast it in hot lead, print it on a handmade paper and bind it into a book yourself. Then it is truly a labor of love and life.” Muller was indoctrinated into printing as a boy when his father gave him The Ideal Toy Company’s home printing press as a Christmas gift in 1964. “The other kids on the block got the Rock ’Em Sock ’Em Robots. I got the printing press,” he says. Big Wheel has 15 presses, including a hand-operated Golding Pearl #14 with a large cast-iron flywheel and a tabletop Sigwalt Ideal Model #4, which Muller calls “the inkjet printer of the 1880s.” With newer technology, he can produce hot foil stamping and even add glitter. Big Wheel is also the last studio casting in Arabic on a hot lead linecaster, Muller says. Muller does a thriving business with broadsides that marry iconic images with messages—like one with a giant silver screw about to drill down into the word cancer. 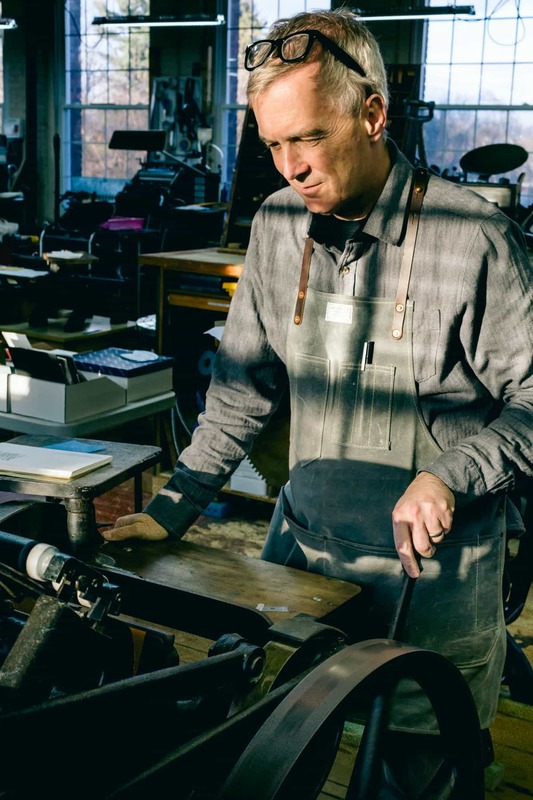 “The excitement and the goal is, ‘How do you use these machines with writers and artists in innovative ways?’” Wood says of the equipment arrayed within DWRI Letterpress. That equipment ranges from hand-operated presses to a die-cutting machine to equipment that makes photopolymer plates. With RISD graduates Lois Harada and Hope Anderson as part of the team, Wood prints tactile, elegant invitations, business cards, CD covers, and more—such as posters for Brooklyn, New York coffee haven Café Grumpy. But creativity is the key for Wood, who established Garbaszawa Press in 1994 and subsequently DWRI around 2003. “Dan is always trying to push the business forward,” says Harada, who recently designed and produced a “Beach, Please! !” letterpress print that embellishes a map of Rhode Island with the names of the state’s beaches. The titles are done in navy ink holographic foil. 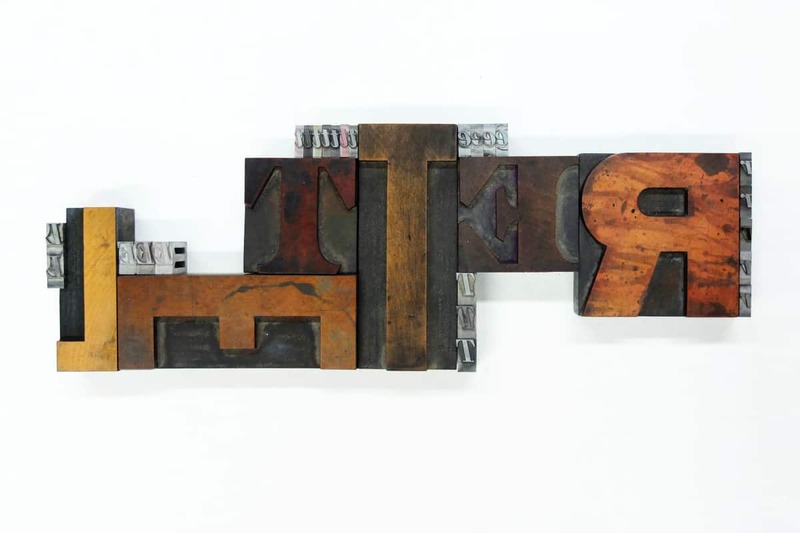 “We do a lot of work with artists and writers,” says Wood, whose own artwork is included in the print collections of the New York Public Library and the RISD Museum of Art. Two compelling prints by Wood hang on the walls at DWRI. One depicts a giant Zithromax tablet made by Pfizer that has a pop-art quality and a satirical subtext. The other recasts New York Times coverage of George W. Bush leaving Washington, D.C., in a helicopter after Barack Obama was sworn into office. Wood altered the original photograph, which centers on the chopper lifting above the Capitol. 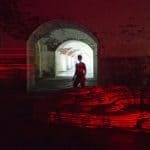 His inspiration came from the feeling that Bush’s departure looked eerily like the famous Vietnam War image of a helicopter lifting off from the roof of an apartment building in 1975 as U.S. personnel were evacuated before the Fall of Saigon. More recently, Wood has been working on three versions of his “YOU ARE NOT A SCHMUCK” prints. The largest, at 18 x 24, is printed on reflective metallic paper, “so the words speak to you as you look at your own reflection,” Wood says. He plans to exhibit a full edition of the prints at the Columbus Theatre Gallery in Providence in the late spring. 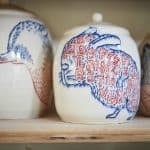 Addy Gale of Hartford Prints! Rory Gale, Callie Gale Heilmann and Addy Gale use stationery, invitations, and fanciful greeting cards—printed on a Vandercook 4T press from the 1960s—as a foundation for creating a lifestyle brand whose heart is a gleaming retail store in downtown Hartford. 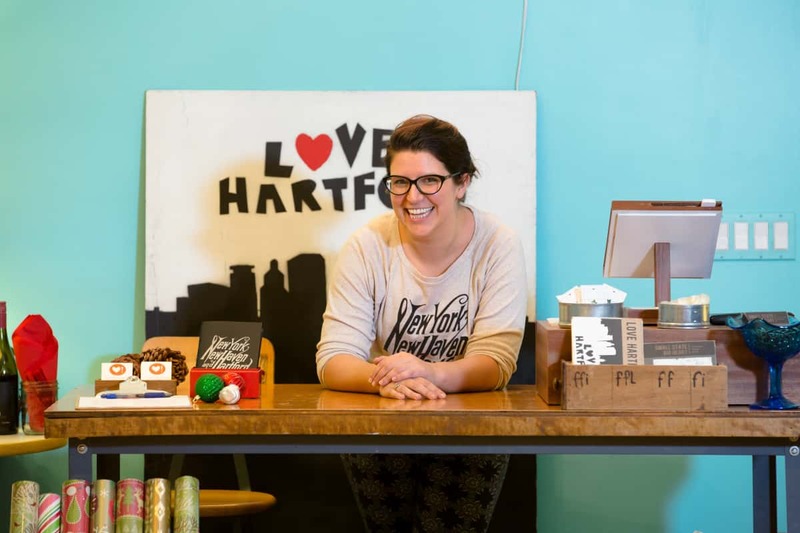 Aided by an iConnect grant from the City of Hartford, the sisters launched the store in 2013 and segued into a line of screen-printed clothing and accessories featuring Connecticut themes, such as a graphic image of the Hartford skyline. There’s even a suite of T-shirts for toddlers and onesies for babies. “Everything took off from that slogan,” Gale says while giving a tour of the shop and discussing the evolution of Hartford Prints! Built into its coding is “the idea that a company can both make and do good things,” she adds. As an example of the latter, Hartford Prints! teamed up with seven other homegrown ventures for Small Business Saturday this past holiday season, and it runs Pints + Prints, an introduction to letterpress accompanied by local craft beer. 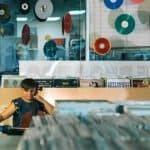 The sisters launched a “Small State, Big Heart” video commercial last year and have further plans for the future, including merging their studio and storefront in Hartford, and opening a second retail shop in New Haven or Bridgeport. 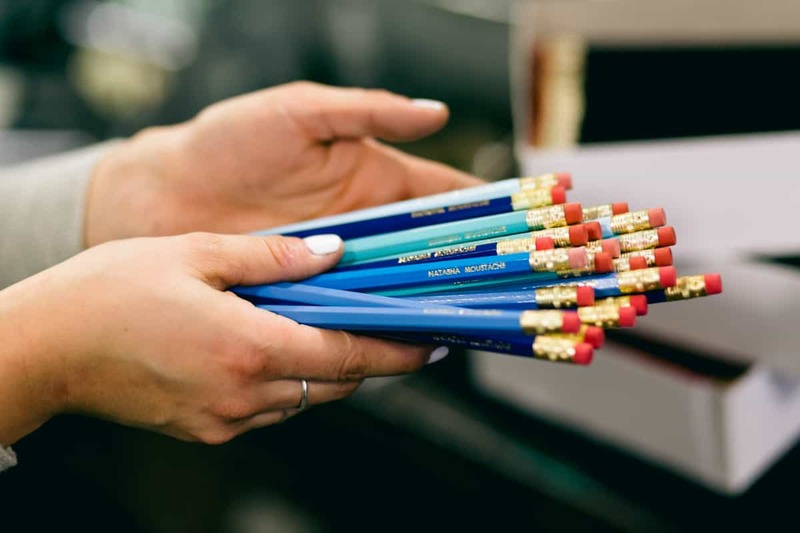 At Headcase Press in New Bedford, Massachusetts, Nicole Monforti doesn’t just create attractive custom stationery, business cards, invitations, and greeting cards. 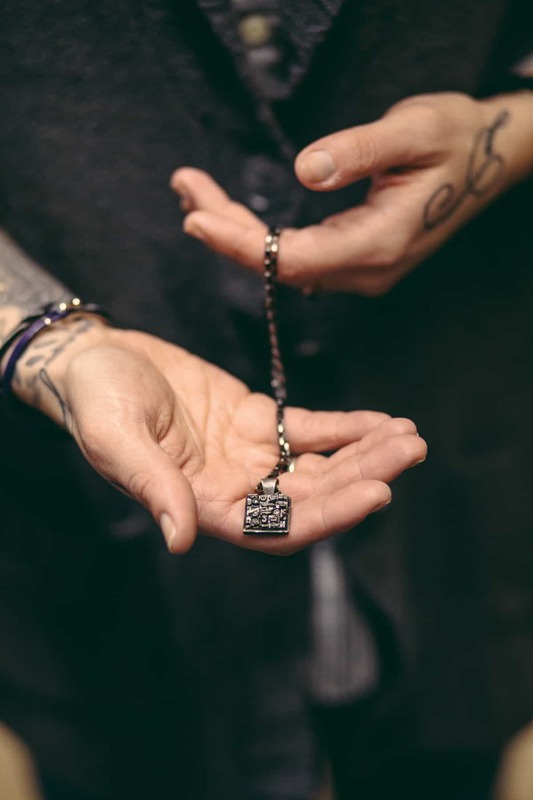 She also uses cast-off type to make a line of jewelry that includes rings, necklaces, earrings, bracelets, cufflinks, tie bars, key chains, and even belt buckles. 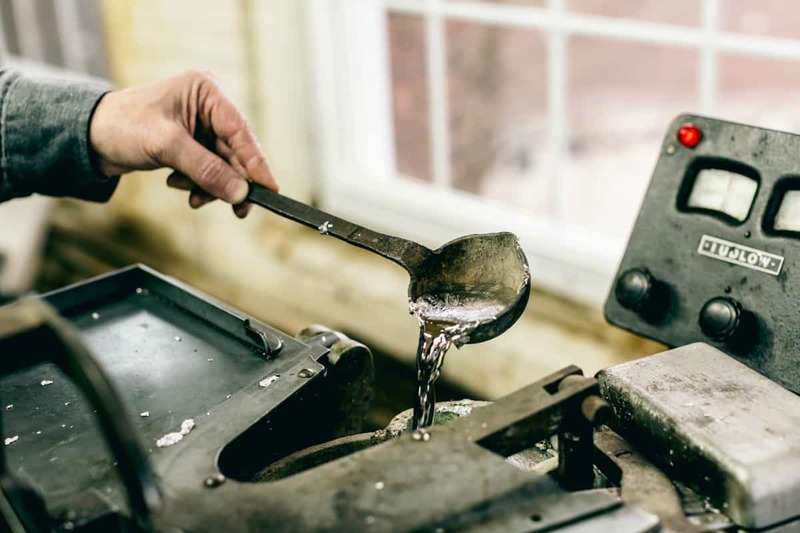 “The jewelry was created out of an interest in preserving material that would otherwise have been destroyed,” says Monforti, who opened her print shop a few years after catching letterpress fever in a class she took at Montserrat College of Art in Beverly, Massachusetts. The most prominent product of Headcase Press at the moment is Monforti’s Tarot of Curiosities, a 78-card Tarot deck that was 10 years in the making and released this past October. She describes the project as a “deck of the major and minor arcana reimagined in cut paper and photographic collage.” The cards come with a small booklet that analyzes each card. Monforti prints on three presses: a Heidelberg Windmill (1948), a Kelsey (1953), and a New Style Chandler & Price (1916). 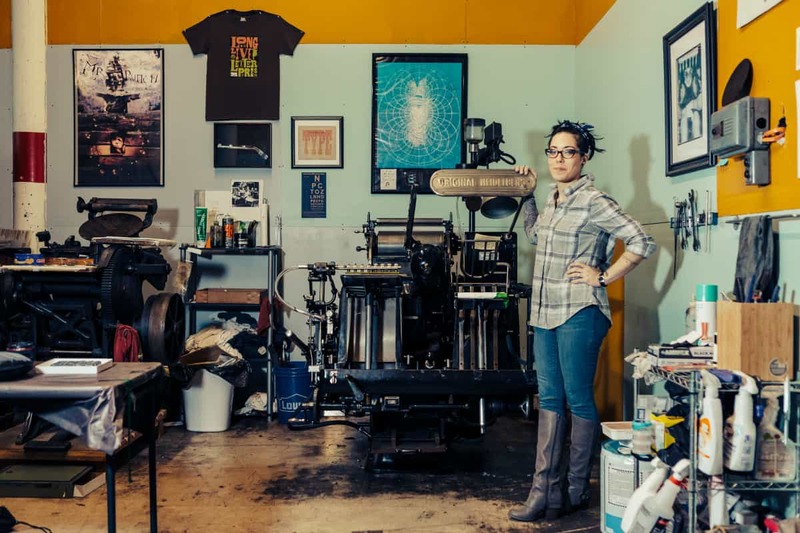 While Headcase Press isn’t in a location that lends itself to visitors—Monforti does most of her sales online—she loves the atmosphere of the former whaling capital of the world. This article originally appeared in our Feb/March 2016 Print issue. 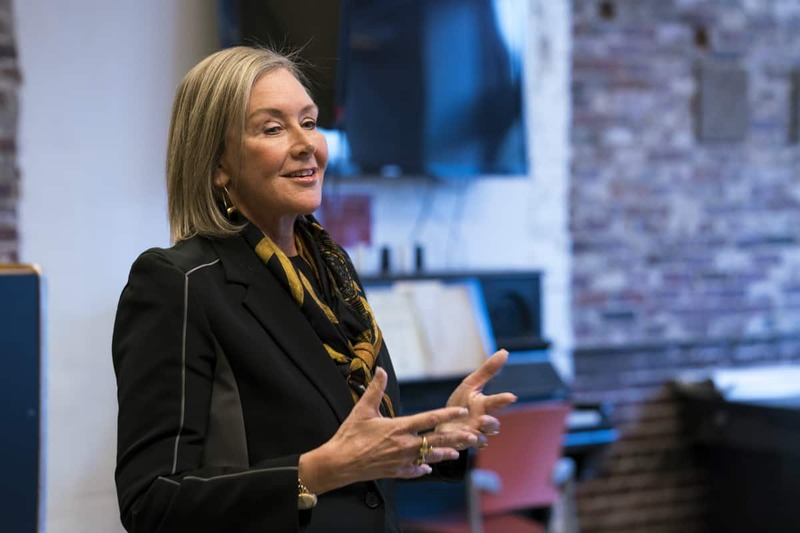 Pushing empathy, vitality, and getting paid, Maine College of Art President Laura Freid helps Portland artists leave the cocoon. 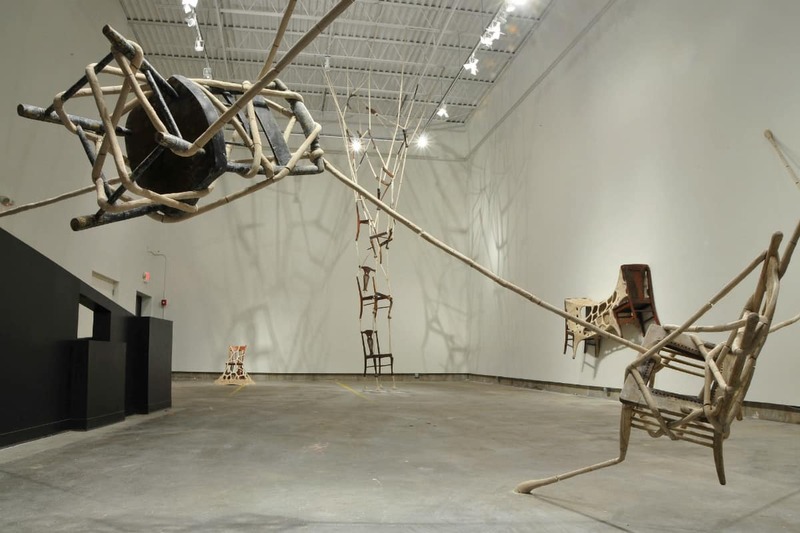 David Katz uses found objects and unfired clay to create dramatic installations that speak to many of his favorite themes. 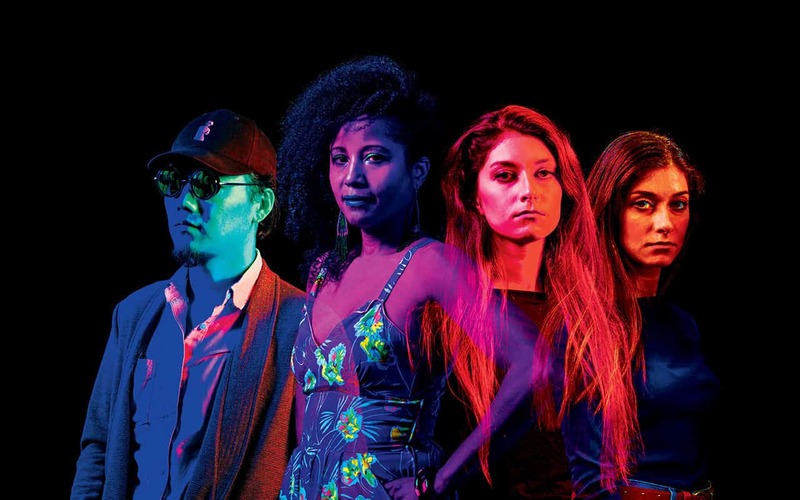 Selected by curators, our ten New England Artists to Watch reinvent their chosen media to bring viewers the unexpected in 2018.